As a homeowner, you should have basic tools on hand to tackle home maintenance tasks. Having the right tools makes any job easier. When shopping for home improvement needs, remember to include these essential tools for a homeowner’s toolbox. 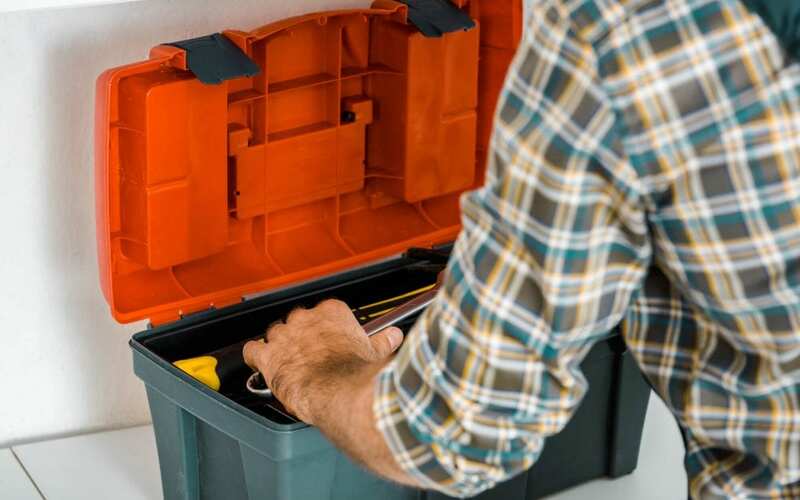 A sorted, organized, and ready to use toolbox is important for home maintenance. For storing the basics, shop for a standard toolbox. For better organization options look for a toolbox with drawers, compartments, or pockets. As you begin to tackle home maintenance projects, you will find that a hammer is needed for a number of jobs. When shopping for a hammer, choose a tool with a comfortable grip, smooth head, and a sturdy claw. Invest in a quality set of screwdrivers to include both Phillips and flat head tips. Consider buying a screwdriver set with magnetic tips. With a magnetic screwdriver, you won’t have as many instances of dropped screws. Good sets of pliers are essential tools for a homeowner’s toolbox. Make sure that your collection of pliers includes long-nosed, combination, and locking pliers in order to meet your home project needs. As you begin delving into more extensive projects, consider including a set of wire strippers with your pliers set. Include a few wrenches in your list of tools for a homeowner’s toolbox. Purchase a few adjustable wrenches in a variety of sizes. As you expand your wrench collection you can begin getting combination, ratchet, and socket sets. A cordless power drill will speed up your home improvement tasks. If you are ready to add a cordless drill to your homeowner’s toolbox, look for one of good quality with a set of drill bits. Like wrenches, drill bits are another tool you’ll want to have a variety of. Invest in quality drill bit sets that include metal, wood, and universal bits to best meet all of your project needs. Nearly every project you take on will require some type of measuring. It’s best to start with a standard 3/4 inch measuring tape for accurate measurement. Slimmer models can easily slip out of place and wider models are more difficult to maneuver. As vital as the measuring tape, a level will quickly become a go-to tool to get the job done right. The shelving you installed will need to be sturdy and level. A standard bubble level is a great tool for your homeowner’s toolbox. An often overlooked item when it comes to tools every homeowner should have, the flashlight is a must-have. Be sure to include a quality LED flashlight in your home maintenance toolbox. Home Guard Inspections serves Bismarck-Mandan and the surrounding area with home inspection services. Contact us to schedule an inspection.